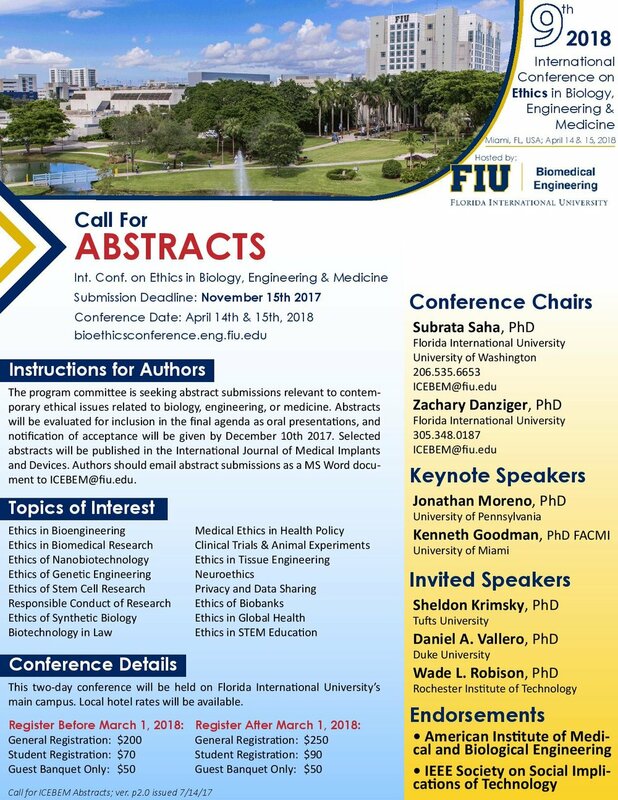 The conference will consist of plenary and session presentations and discussions on regulatory, governance, legal, policy, social and ethical aspects of emerging technologies, including (but not limited to) nanotechnology, synthetic biology, gene editing, biotechnology, genomics, personalized medicine, digital health, human enhancement technologies, blockchain, cryptocurrencies, data analytics, telecommunications, information technologies, surveillance technologies, technology & privacy, cybersecurity, geoengineering, neuroscience, military technologies, artificial intelligence, algorithms, autonomous cars, and robotics. The conference is premised on the belief that there is much to be learned and shared from and across the governance experience and proposals for these various emerging technologies. The dominant online platforms have long fancied themselves as “free speech leaders.” But the First Amendment no longer serves as the model for Silicon Valley’s terms of service. Pressure from EU regulators is responsible for this switch. To stave off expensive regulation in the EU, Silicon Valley has changed its global policies regarding extremist and hateful speech. The risk is not only conformity with European speech norms but more troublingly censorship creep that silences anyone outside the mainstream. I will talk about how Silicon Valley can reclaim some of its free speech credibility with procedural protections—robust transparency, accountability, definitional clarity, and ombudsmen. Talk: Machine Learning in a Global Context: Whose Rights are at Risk? The Most Innovative and Important Emerging Technology Is…. I have just become the assistant liaison officer for IEEE Press within the Society on the Social Implications of Technology. If you have a book idea feel free to discuss with me the content or directly contact IEEE Press. IEEE Press partners with John Wiley & Sons to publish high quality books on cutting edge technical engineering topics. NEW! Short Books format between 80-120 pages on current topics. Co-located with RFID Journal LIVE! You will get face-to-face time with the top researchers and scientists working on RFID. There will be plenty of new discoveries and information presented that will inspire you to use RFID in new ways for your business application or scientific study. IEEE RFID conferences are Global Events representing academic and industry perspectives from around the world. IEEE RFID Papers and Posters submissions are rigorously vetted and awarded authors will be presenting leading technical innovation and research from Europe, Asia, Middle East and the Americas. RFID Journal LIVE! is one of the world’s largest events dedicated to RFID and your IEEE RFID 2018 registration provides access to RFID Journal LIVE! Opening Reception, Keynote Sessions, Awards, and an opportunity to explore new technologies in the expansive Exhibit Hall. Editors: Angela Daly (Queensland University of Technology), Kate Devitt (Queensland University of Technology) & Monique Mann (Queensland University of Technology). In recent years, there has been an exponential increase in the collection, aggregation and automated analysis of information by government and private actors, and in response to this there has been a significant critique regarding what could be termed ‘bad’ data practices in the globalised digital economy. These include the mass gathering of data about individuals, in opaque, unethical and at times illegal ways, and the increased use of that data in unaccountable and potentially discriminatory forms of algorithmic decision-making by both state agencies and private companies. Issues of data ethics and data justice are only likely to increase in importance given the totalizing datafication of society and the introduction of new technologies such as artificial intelligence and automation. Chapters can be theoretical takes or provocations on what Good Data is or should be, or can be case studies of particular Good Data projects and initiatives e.g. Indigenous data sovereignty initiatives, data cooperatives etc. Chapters can also be critiques of initiatives/movements which claim to be ethical but in fact fall short. All chapters, including academic ones, should be written in an accessible way and avoid the excessive use of jargon, etc. Academic chapters will be peer-reviewed. Other contributions will be editor-reviewed. We encourage contributions from throughout the world and from different disciplinary perspectives: philosophy, media and communications, cultural studies, STS, law, criminology, information systems, computer science etc. Proposals for chapters (up to 250 words) should be sent to Kayleigh Hodgkinson Murphy (kayleigh.murphy@qut.edu.au) by Friday 15 December 2017. Please include a brief biography (indicating whether you are an academic or practitioner, etc) and signal what kind of chapter you are proposing (manifesto/academic chapter, etc). If you have an idea for a chapter and want to discuss it before submitting a proposal, please contact Angela Daly (angela.daly@qut.edu.au) as soon as possible. We may be able to pair, for example, practitioners with academic authors on request. Decisions on proposals will be made by mid-January 2017, with a first full draft of chapters to be submitted by 31 March 2018. We anticipate the book will be finalized and launched in late 2018, as part of the Institute of Network Cultures’ Theory on Demand series. An event NOT to be missed!! Register here. Thinking of submitting to IEEE Technology and Society Magazine? Advice: My recommendation for anyone submitting a new paper to any Transactions, Journal, Letters or Magazine publication in IEEE, is to become familiar first with the content and scope of each outlet. There is nothing like writing the perfect paper for an audience that does not exist. Do we accept empirical work? Of course! All our peer-reviewed pieces are empirical and even equations or formulas are fine, but our audience deals at a higher level and we'd ask you to simplify and elaborate on anything 'technical'. Do I have to be an ICT professional or engineering academic or in the STEM field in general to submit work? No. We welcome all disciplines to submit and are so excited when non-engineers with engineering interests write for us! Do we accept photography, pictures, images, exhibits, figures, tables? Of course. But they must be your own, purchased with a license, or you must have explicit permission from the copyright holder. Is it okay to reveal your identity and that of the rest of the authors in your submitted paper? Yes. What referencing style do I choose? Must be numbered in this format  with references listed at the end as per IEEE policy. Does IEEE Technology and Society Magazine have a particular template I need to use? No. Our managing editor Terri Bookman takes your work and puts it in the right style template. Please note, the best way to submit a paper is in free form with limited formatting. Does IEEE Technology and Society Magazine need an abstract with the paper submitted? No. The Magazine does not publish abstracts in its peer-reviewed content. Do I get a proof of my work before it is published? Yes. Usually about 3-4 weeks before the scheduled publication date. Do I get a copy of my work AFTER it is published? IEEE Technology and Society Magazine has gone green with a limited print run. You will get a PDF version of your paper. You cannot post this version online "as is" but you can post a text-only "pre-publication" version of your work online. How many reviewers are there? All work is reviewed by the editor in chief, checked for grammatical issues by the managing editor. If the work is peer-reviewed then at least TWO reviews are expected. If there is a discrepancy in the adjudication of the paper it could go to 3 or 4 reviews. As an editor in chief, I understand that reviewers are under various time constraints and pressures. As editor I need to be convinced of the outcomes of the reviews and their respective depths, and individual's expertise. The EIC can overturn decisions handed to them by an Associate Editor based on experience, schedules, bottlenecks or other. This happens rarely, but may be related to cases of plagiarism, or technical findings in the research etc. If for any reason I get stuck in the submission process can you help me? Yes. Visit this site: https://mc.manuscriptcentral.com/tsm and if something goes wrong just email the EIC and the Associate Editor (Administrator). Can you make a comment about IEEE Technology and Society Magazine's impact factor? Yes. It's steadily climbing. We are not your typical outlet. Strongly multidisciplinary. Covering a wide variety of social implications of technology means we are deliberately thinly spread across the technology areas of IEEE. But it is great to see our recognition hitting almost 1.0! Something important about our Magazine as well? We do not deliberately set out to manipulate our impact factor! This has been an unwritten rule within our Society, which has ethics as one of its pillars. Once Terri Bookman and I were at the Panel of Editors conference in Washington some years ago. When this issue was raised to the community of 200 editors/managing editors we quickly scanned our latest issue to find only 2 self-cites. That ain't bad at all. Having said that, I wish more and more people could go back and access early content of the Magazine from 36 years ago-- we had some landmark work back then published, decades ahead of its time! Good luck! IEEE Technology and Society is an awesome Magazine :) if I do say so myself. Watch this space as the new editor takes the helm in 2018! Medical device manufacturers must balance team-based innovation with the rigors of a regulated, safety-critical product engineering environment. To achieve profitability, your goal is to deliver breakthrough medical products using controlled, stage-gated engineering and quality processes. At the same time, a focus on quality and compliance is critical. Investment in the right technology makes the balance between quality, compliance and profitability possible. • Challenges facing medical device manufacturers. • Managing product and requirements. • Transitioning from document to product centric approaches. • Enabling smart and connected products. READY FOR A CLOSED-LOOP SOLUTION? Register and attend the webinar to download a copy of the '2017 Medical Device Manufacturers Software Selection Guide' to learn how to select the software that is right for you to gain competitive advantages. The guide is located behind the Resource Widget inside the webinar console. Michelle has spent over 20 years in various roles in engineering, marketing, management, and as an analyst. 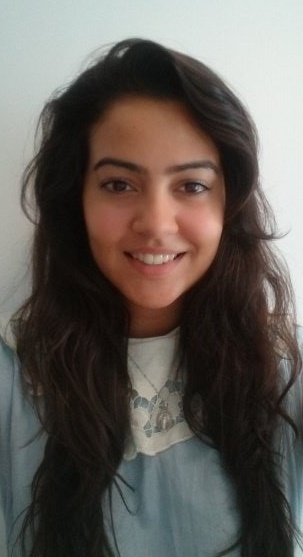 She has broad experience with topics such as product design, simulation, systems engineering, mechatronics, embedded systems, PCB design, improving product performance, process improvement, and mass customization. Ms. Boucher is an experienced researcher and author and has benchmarked over 7000 product development professionals and published over 90 reports on product development best practices. She focuses on helping companies manage the complexity of today’s products, markets, design environments, and value chains to achieve higher profitability. Mark Turner has worked at Alcon Laboratories, Inc. for 8 years. Alcon is a subsidiary of Novartis, a global healthcare company providing solutions to address the evolving needs of patients worldwide. Alcon offer a wide spectrum of eye care products. They provide innovative products that enhance quality of life by helping people worldwide see better. Mark is currently the Service Delivery Manager for Engineering and based in the Dallas/Fort Worth, supporting a Part 11 FDA Compliant Product Lifecycle Management Global Solution. His responsibilities include quality management, product analytics, and CM2 process for a full design control implementation. Swapan Jha is Vice President of Strategy and Market Development for PTC with a focus on the health care industry. A seasoned technology executive with broad expertise in developing and executing sales, product and go-to-market strategies, he has 15+ years of PLM domain experience across Medical Device, Hi-Tech and Manufacturing industries. Mr. Jha joined PTC in 2015 from Oracle Corporation where he held leadership positions in client advisory services and supply-chain business units. He holds a Bachelor of Engineering, and a Masters of Business Administration (M.B.A.), in Finance and Entrepreneurship from the University of Chicago - Booth School of Business. Organizations have installed large numbers of cameras. Unfortunately these have proved useless as they have not been able to thwart terrorist incidents. This seminar will focus on how adding intelligence to the system can make them useful for improving security, safety and productivity. It will discuss how such systems can be used to make entire cities safer and smarter. As part of the talk the audience will get a better understanding on the use of Artificial Intelligence systems in behaviour analytics and biometrics systems and how they have been deployed in real life. * This seminar is being hosted by the SMART Infrastructure Facility at UOW. Thank you! We are fortunate to be hosting Mr Paul Cunningham, IEEE Society on the Social Implications of Technology President from Dublin, Ireland, to give a leading edge talk on co-designing ethical interventions in resource constrained environments. Paul will also be speaking on the importance of engineers and informaticians getting involved in IEEE activities, especially linked to humanitarian engineering. All welcome! Paul is President and CEO of International Information Management Corporation, and Founder and Director of the IST-Africa Institute. His vision for Africa is awesome- come and hear about it. Abstract: This SSIT Distinguished Lecture focuses on social implications and ethical issues to be considered when designing interventions in resource constrained environments. It introduces the concepts of collaborative open innovation and co-design in the context of Global Development and addressing the UN Sustainable Development Goals (SDGs). It then discusses socio-cultural differences, ethical conundrums and ethical research principles. These concepts are then contextualised through an African case study focusing on the co-design approach taken to implementing a cross-border health oriented, research and innovation project supported by the European Commission. The DL will conclude by providing recommendations to be considered for interventions in resource constrained environments. Biography: Paul M Cunningham is the President and CEO of International Information Management Corporation, Founder and Director of the IST-Africa Institute, a visiting senior fellow at Wrexham Glyndŵr University, and Founder and Coordinator of mHealth4frika. Paul works as a technology, strategy, and policy expert for organizations including the World Bank as well as European and nationally funded research and innovation programs in Europe and Africa. Supported by the European Commission and African Union Commission, IST-Africa (www.IST-Africa.org) is a not-for-profit strategic collaboration with ministries and national councils responsible for innovation, science and technology adoption, implementation, policy and research in 18 African Member States. At Wrexham Glyndŵr University (Wales), Paul focuses on Social Implications of Technology and ESGDC (Education for Sustainable Development and Global Citizenship). Supported by the European Commission under Horizon 2020 (European Research and Innovation Framework Programme), mHealth4Afrika (www.mHealth4Afrika) is co-designing an open source, multilingual mHealth platform integrating electronic medical records, medical sensors, and generation of monthly aggregate health indicators to strengthen primary healthcare delivery in resource constrained urban, rural and deep rural health clinics in Africa. 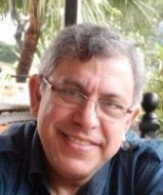 An IEEE Senior Member, Paul is 2017 - 2018 President, IEEE Society on Social Implications of Technology (SSIT); Projects Chair, IEEE Humanitarian Activities Committee; Member, IEEE Technical Activities Board and IEEE Global Public Policy Committee; and Founder and Chair, IEEE SSIT IST-Africa SIGHT (Special Interest Group on Humanitarian Technology). Paul is a graduate of Trinity College Dublin and Smurfit Graduate School of Business, University College Dublin; has studied at postgraduate level in Hungary and USA; and is completing a PhD at the Department of Computer and Systems Sciences (DSV), Stockholm University. Paul is a member of the Institute of Directors in Ireland (M Inst D.) and a former Board Director (2008 – 2012) of Meeting Professionals International. Ms Annie Rowland-Campbell, Director of Intersticia, philanthropist and communications expert, will also be joining us among a brilliant day's line up. Anni was the brain-child behind "Brave Conversations" on April 10-11 held in Canberra, Australia bringing some 100 people together from industry, government and the general community to have what they considered brain conversations related to technology and society broadly. She is very active in the Web Science Trust, and will be sharing her thoughts with us on what a brave conversation actually entails. Biography: Anni Rowland-Campbell – Director of Intersticia. Bachelor of Arts – Fine Arts, History & Philosophy of Science (Melbourne); Master of Arts – Modern European Art, specialising in Design for Theatre (Courtauld Institute, London); Grad. Certificate of Public Policy (UNE); Master of Business & Technology, focusing on Knowledge Management (UNSW); Masters of HRM and Coaching Psychology (Sydney); theory and research towards a PhD – now being put into practice through teaching. Anni is fundamentally an observer and practitioner of Web Science and a passionate advocate for digital literacy. In her early years Anni lived in Melbourne, Sydney, Paris and London. She worked in various roles at the Sydney Opera House, the National Theatre of Great Britain, the Royal Opera House Covent Garden, the Julian Ashton Art School, and the Australian Opera. She served as Research Officer to Hon. Peter Collins QC MP, then NSW Minister for the Arts, which afforded her the opportunity to contribute towards the encouragement and support of the arts at a strategic policy level. In 1990 Anni went to live on a cotton and grazing property near Narrabri, NSW, during which time she worked with both the Moree Gallery Foundation and Yurundiali Aboriginal Arts Co-Operative, with a focus on business planning and community development. In 1993 Anni returned to Sydney and became Executive Director of the NSW Division of the Institute of Public Administration, whilst simultaneously developing Intersticia as a consultancy in new media strategy and education in the early days of the World Wide Web. From 1996 to 2004 Anni juggled young children and her role as Executive Director of GAMAA, the association for suppliers to the graphic communications industries. During this time Anni undertook research into the impact of digital technologies on graphic communications (as part of Print21); founded the GAMAA Leadership Programme; created the PrintEx exhibition in Sydney, and developed an international industry network. In 2004 Anni was engaged by Fuji Xerox Australia as Industry Marketing Manager and subsequently as a new-media consultant. During this time Anni initiated Fuji Xerox’s research into the future of the Web which involved the management and undertaking of two Australian Research Council funded projects: the first focused on the impact of semantic technologies on printing and publishing; the second developed this further by investigating the practice of Sustainability Reporting (see www.circlesofsustainability.org). In addition Anni was instrumental in connecting Fuji Xerox Australia with the globally recognised Xerox Innovation Group as an Australian based research organisation in its own right. In 2009 Anni began her collaboration with Peter Thompson at ANZSOG (the Australian and New Zealand School of Government) to integrate digital socio-technical concepts (now recognised as the Social Machine) into the Managing Public Communications Executive Programme. This work evolved into two ANZSOG funded research projects: Government as a Social Machine, articulating the role of Government within a Social Machine ecosystem; and Developing an Australian Government Web Observatory. Both of these linked Australia with the global research being undertaken at the Web Science Institute. In 2017 this culminated in the first Brave Conversations event held in Canberra, and which will now be replicated around the World as a forum to connect research with practice to more effectively understand, manage, govern and develop the evolving Web. The panel of provocation will be chaired by Katina Michael, and feature our resident "outside the square box" thinkers, Dr Ted Mitew and Dr Christopher Moore. Both of these academics are not conventional and flamboyant innovative thinkers. We look forward to having a lively discussion with them, and some brave conversations with audience interaction. Biography: Dr Teodor Mitew is a Senior Lecturer in digital media at the University of Wollongong, with a background in internet studies and actor network theory. His long-term research interests are in the internet of things, object oriented ontology, and distributed content networks. He is currently working on projects involving smart textiles, peer-to-peer clothing, open source maker communities, memetic warfare, and virtual reality. Biography: Dr Christopher (Chris) Moore is a lecturer in Digital Media and Communication. Originally from Tasmania, Chris graduated from the University of Wollongong and worked as a journalist before conducting his PhD research on intellectual property and the rise of ‘open’ mechanisms for managing copyright in the digital domain. In 2010, Chris moved to Melbourne to take up an Alfred Deakin Postdoctoral Fellowship examining the changes occurring in the digital games industry. Returning to Wollongong in 2014, Chris joined the School of Arts, English and Media in the faculty of Law, Humanities and the Arts and is currently teaching DIGC310 Digital Game Cultures and DIGC330 Digital Asia. 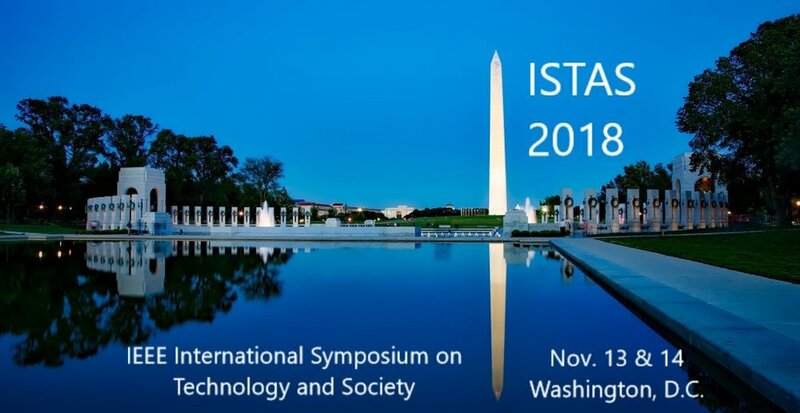 "What is IEEE's Society on the Social Implications of Technology (SSIT)?" "Co-designing Ethical Interventions in Resource Constrained Environments"
"The Vision for the Centre for Persuasive Technology and Society"
TBA. A location on campus. Check back in with us. Welcome to the 14th International Conference on Wearable and Implantable Body Sensor Networks (BSN2017) website. Wearable biosensors are becoming increasingly pervasive. Although many of these devices currently target the consumer market, the potential for medical-grade sensors is increasingly evident. Body sensor networks increase the opportunity to measure physiology and behaviour outside the clinical setting. Means of communication, on-chip and off-line data processing and proper modelling turn these measurements into useful information. Current BSN applications range from performance monitoring and enhancement in athletes, soldiers, and first responders to assistive technologies that improve quality of life in chronic diseases such as hypertension, cardiac failure, COPD, kidney failure, diabetes, Parkinson’s Disease, dementia and others. Additionally, the opportunity to change the conduct of clinical trials and basic chronic disease management is compelling. The High Tech Campus in Eindhoven, the Netherlands, is a unique biotope for close academic/private partnerships and a major industrial hub in Western Europe. Hence, the role of industry as a technological driver of BSN developments and the interaction with the clinical community is a major focus of this year´s conference. health and performance monitoring applications such as energy balance, hydration status, movement analysis, etc. What a fantastic lineup at Brave Conversations! Check it out here. Buy tickets here. The first day of the conference will be a workshop bringing together people from the business, government and community sectors with researchers from a range of disciplines. In a “post-truth” world how can we slow the spread of fake news? What are the dangers of life inside our social bubbles and continuous positive reinforcement? In new economics, what will the impact of changing structures, networks and innovation be? Open Source or protecting IP? How can you change business models without giving away shareholder value? How to add value in the age of ubiquitous connectivity and total knowledge? Everyone benefits? If the web is the ultimate force for globalisation how do we ensure everybody benefits? “Should humanity become God” – who or what do we want to become as a species? The rise of the hyper-corporation and the ramifications for the world. Join us on Twitter #braveconversations and add to the list. The IEEE Journal of Radio Frequency Identification (JRFID) is a newly launching IEEE journal that publishes peer-reviewed manuscripts addressing various aspects of RFID circuits, systems, standards, and applications. RFID involves multidisciplinary areas of research and development, encompassing a broad spectrum of science and engineering expertise. This call for papers intends to solicit contributions in all areas pertinent to the RFID technology. Authors are encouraged to submit original, unpublished work on RFID. We consider both brief papers (5-page) and regular-length articles. Acceptance shall be based on the peer reviews from the editors and the selected reviewers. The Journal is published quarterly with the first issue scheduled to appear in March of 2017. The IEEE Council on RFID (CRFID) that comprising of 15 IEEE member societies sponsors the Journal. The 2017 challenge focuses on the use of radio frequency identification RFID in Smart Cities. Teams will be rated on how they plan and evaluate a solution that incorporates RFID technology and systems. Teams are asked to prepare as if responding to a request for proposal (RFP). The team will identify a solution that includes the use of RFID. For support from the RAIN Alliance, passive UHF RFID must be included in the solution. The team will identify the steps needed to implement the solution. A paper prepared for a CRFID peer-reviewed conference proceedings. YouTube video or privately available video /slide show. IEEE RFID 2017 conference at the RFID Journal Live! event in Phoenix, Arizona in May 2017. Up to $5,000 (USD) student travel support is available from IEEE CRFID and the RAIN Alliance. Alliance members will prep presenters whose solution uses passive UHF.